Britain dominates the world when it comes to heather moorland. We are home to roughly 75% of the world’s remaining moorland habitat. In Britain we have two main heather dominated habitats. 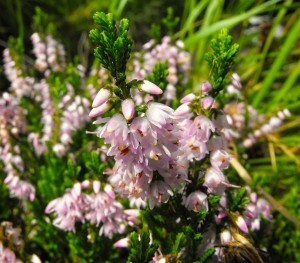 Lowland heath is found below an altitude of 300m whilst upland heath (moorland) occurs from 300m. Above 600m upland heath gives way to true mountain habitats where our most severe climatic conditions occur. The extent of these habitats has been undergoing an alarming decline over the latter part of the last century due to agricultural land improvements, afforestation and heavy grazing by sheep (and in certain areas red deer and cattle). 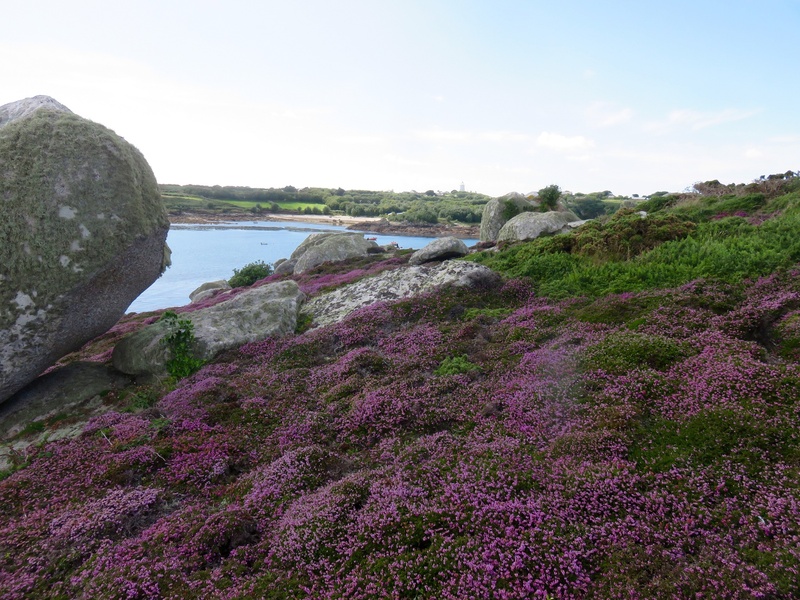 Despite these changes there are many colourful plants you will see in full bloom in summer ranging from those of wet heaths to the drier parts of these habitats. Here are a few for you to familiarize yourself with. 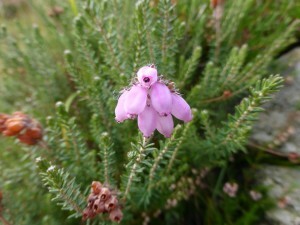 Ling is the most common of the heath plants. 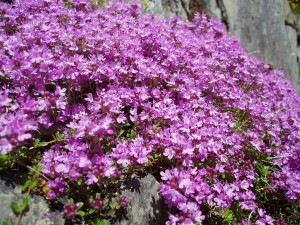 It has small, purple-pink flowers blooming late in the summer and is abundant on wet and dry heaths alike. Its name Calluna derives from the Greek Kalluno, meaning ‘to clean’. A mead was once brewed from the flowers and the young shoots have been used to flavour beer. It has also been used medicinally as a liniment for treating rheumatism and arthritis. Bilberry is a common sight across dry heaths, woods and moorlands. It is a shrub with a square, green stem. 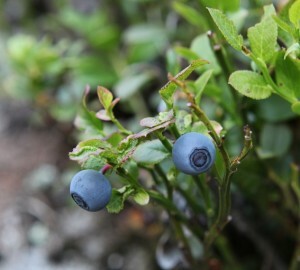 Its black berries are produced from July and can be eaten raw or cooked, or used to make jam. The leaves can be dried to make tea or to treat diabetes. Bell heather is a good indicator dry heath areas. It has bell-shaped flowers of white, pink or purple which are seen in profusion from early summer to early autumn. 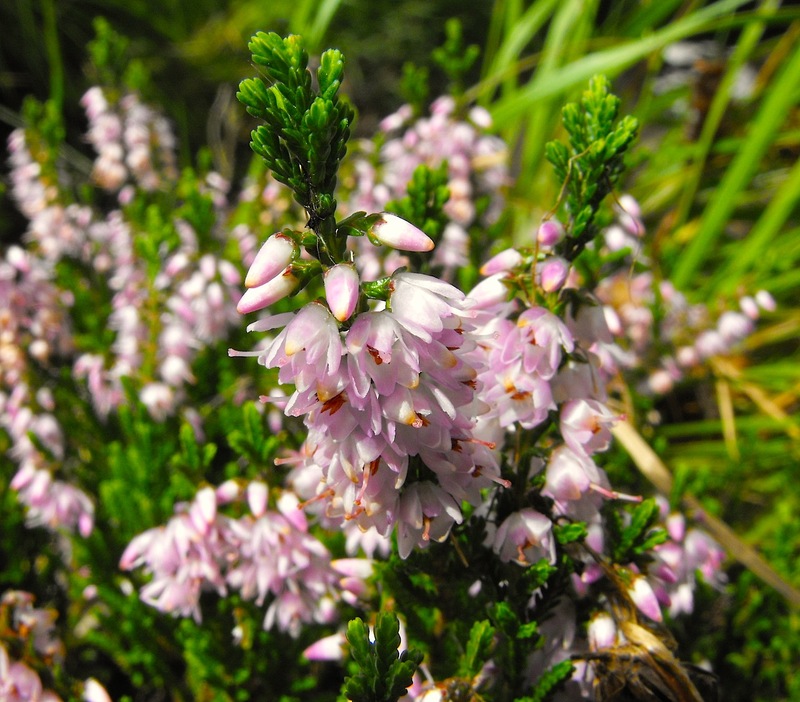 Erica plants have a symbiotic relationship with fungi that grow inside, and between, some of plant root cells. 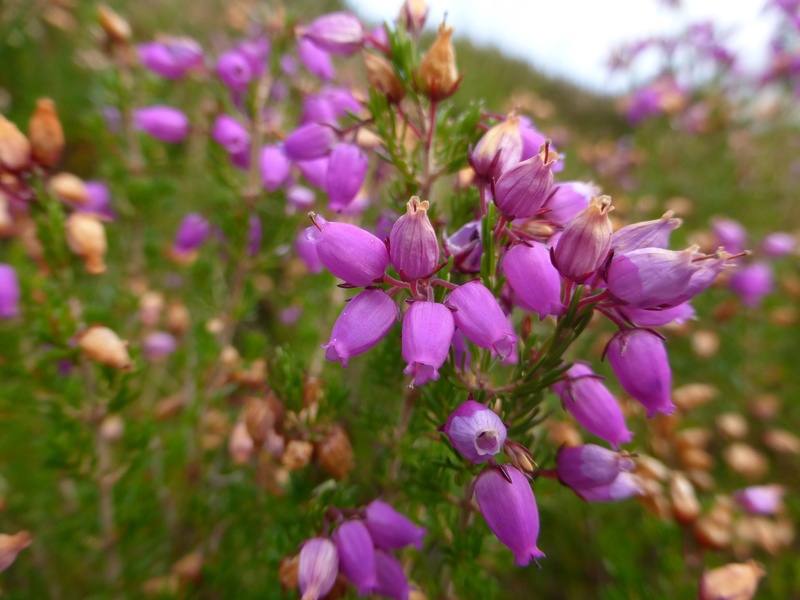 Bell heather thrives in the presence of the fungi, which pass on essential and scarce nutrients in heathland soils, and the fungi benefits from gaining sugars produced through photosynthesis. The bright yellow flowers of Tormentil can be seen across heathlands. This creeping plant has a single flower at each stalk tip. The glossy leaves are divided and usually appear in an arrangement of five. The roots are rich in tannin; boiling converts this into a gum that can be eaten. It is widely used in herbal medicine for the treatment of diarrhea & sore throats, and it is good for stemming bleeding from cuts. 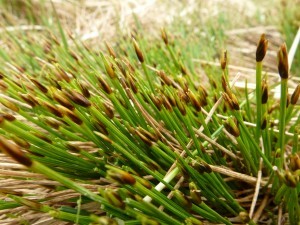 Heath rush can be seen on heathlands and is identifiable by its tuft-like shape and stout, glossy leaves. Its rosette of leaves bends back against the ground and provides convenient protection from being trodden on It is also common where grazing is heavy and its leaves can be seen pushing and holding back matt forming grasses. 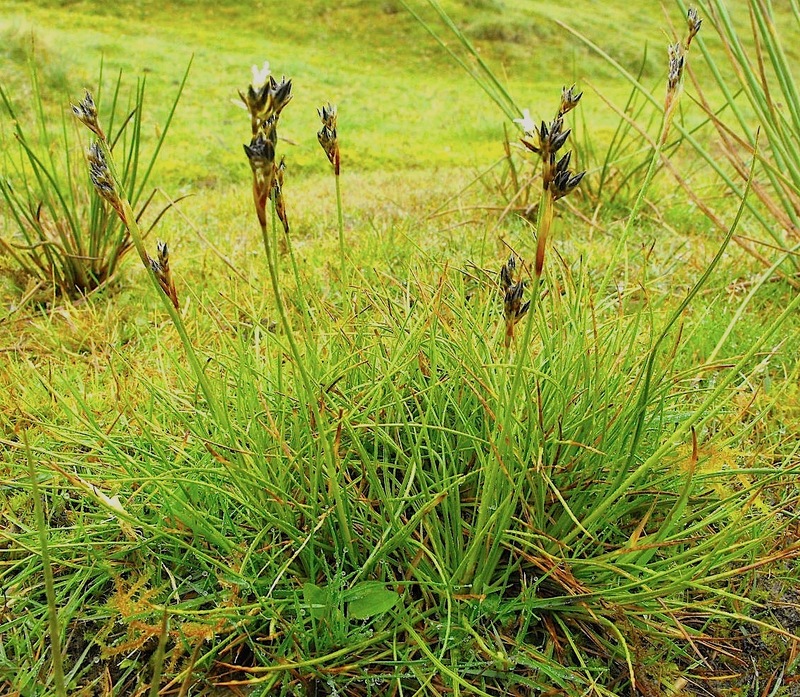 Deer grass is at home in wet heaths and boggy habitats. Each shoot is capped with a simple flower. Its name is derived, not from being favoured by grazing deer, but from its fawn, brown and orange autumn colours. 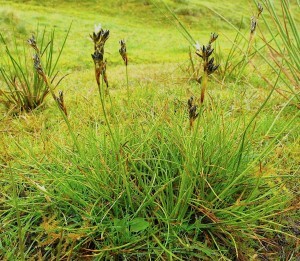 It is resistant to trampling, often surviving on heavily trodden paths, giving it the appearance of a ‘bald monk’, a traditional name for the plant. Commonly found on more open heaths where grasses dominate, Common milkwort’s flowers are generally blue but can be pink, white or pale blue. 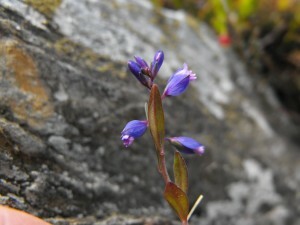 It is similar to Heath milkwort, which is found in wetter heath habitats. It has a bitter-taste, but has a reputation for increasing milk flow in nursing mothers. Whilst it is little used in modern herbalism, the root and aerial parts of the plant have been used to promote the clearing of phlegm from bronchial tubes. 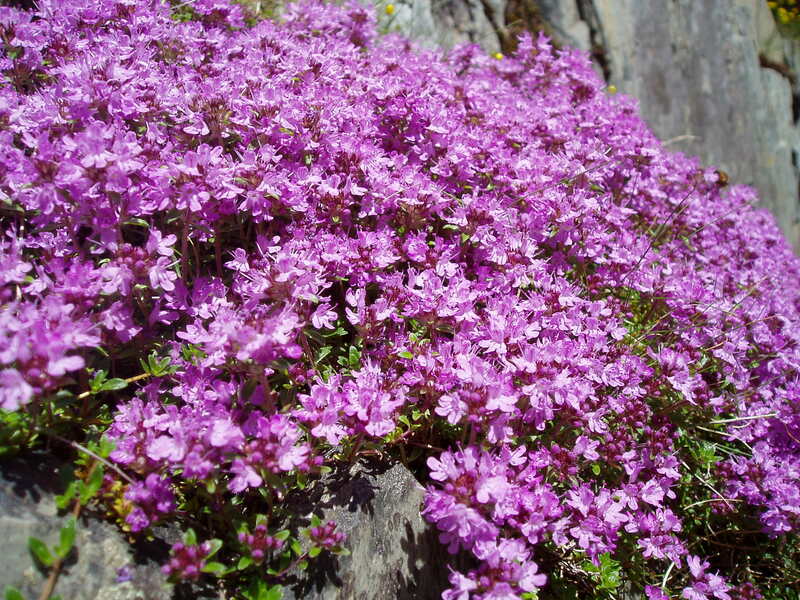 An aromatic herb, Wild thyme, is found on dry heaths and other habitats ranging from sand dunes to mountain crags. Its purple flower heads are round in shape and the plant has a cushion-like appearance. The leaves are very fragrant when crushed and are often used in cooking. Like other members of the mint family the flowers are very attractive to bees. 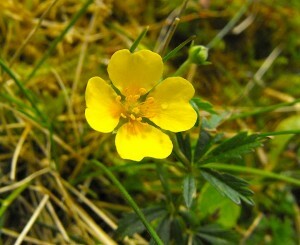 It has also been used as an antiseptic, especially for the digestive system. Cross-leaved heath always indicates a wet or boggy habitat. Its pale pink flowers are arranged as a cluster at the tip of the plant and are best seen in early autumn. Its leaves are hairy and pale green in colour. They come off the stem in whorls of 4 leaves hence its common and Latin names (“tetra” meaning four). As with other heath plants it is a good source of pollen for bees. Its sticky leaves led Darwin to the misconception that it was carnivorous. Gorse is a common sight on heaths, flowering from early spring until late autumn. 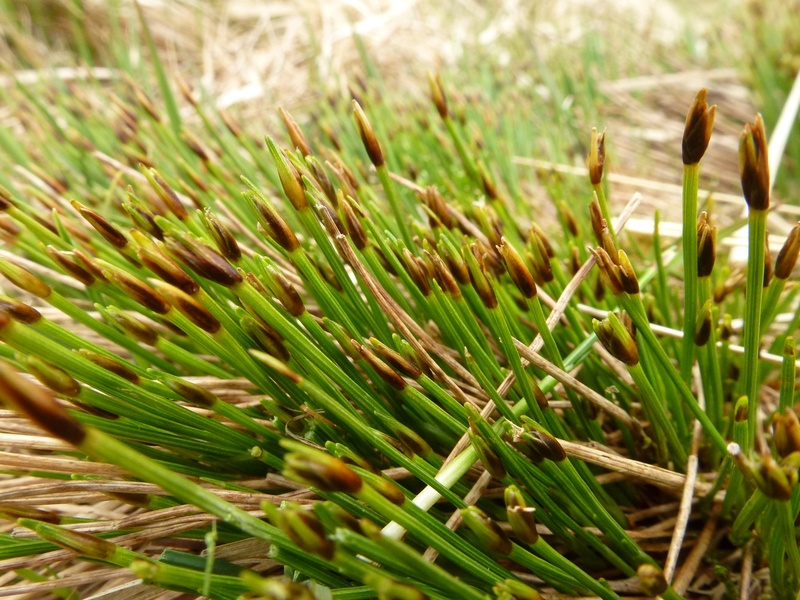 Impressively tolerant to fire, it regrows quickly from the roots after a blaze. Its seeds also germinate following slight scorching. Following a controlled burn its soft re-growth provides essential food for young sheep. With its coconut scented flowers and spiky foliage it is unmistakable once you’ve had a close encounter! 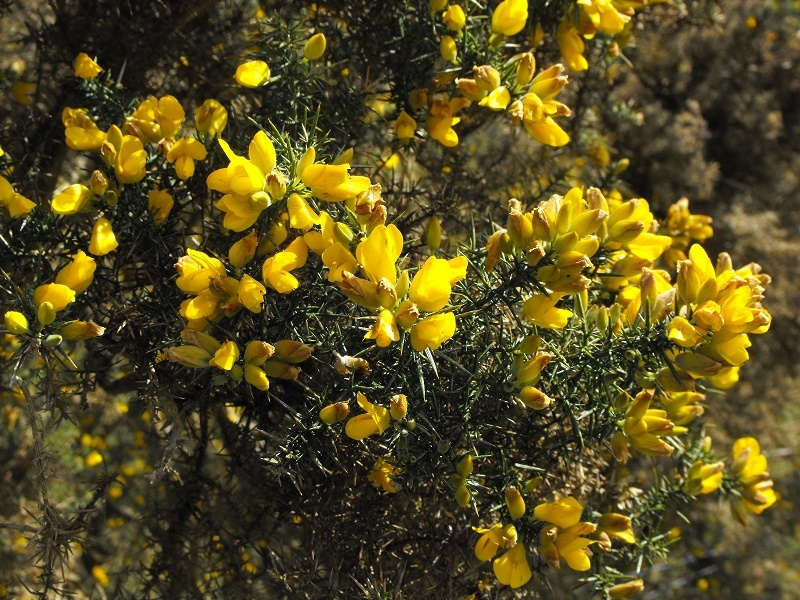 Gorse also has culinary qualities; the flower buds have been pickled in vinegar to be used like capers in salad, and a tea can be made from the shoot tips.